Other than The Handmaid's Tale, I haven't read anything by Atwood. Is this a good place to start? It sounds SO good but I'm SO terrible at reading short stories. I have another collection (or two) of hers that have been untouched for years. Though I think next year will be the year I finally read Alias Grace. Or Oryx and Crake. Wow, this sounds so good! I didn't love The Handmaid's Tale, but I'd like to give Atwood another chance, both because her books get rave reviews and because she seems like such an interesting person. This seems like it could be a good place to start, because the thought-provoking concepts she touches on seem like they'd make this a fascinating read. I wasn't a big fan of The Handmaid's Tale but did love Oryx and Crake. 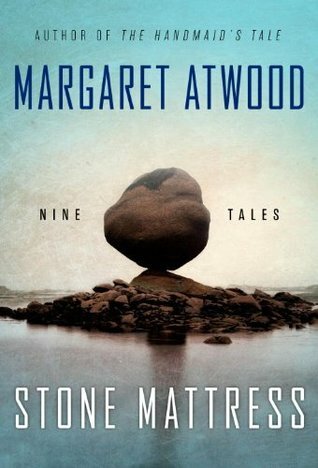 I cannot imagine how Atwood would write short stories, but you make this sound like an intriguing read. The idea of the deconstruction of the concept of a villain is particularly fascinating.